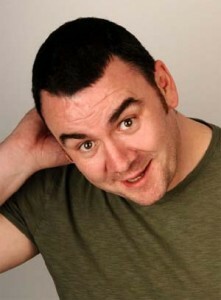 Johnny Candon - I want a comedy night! Dubliner Johnny Candon‘s daft interpretations of the world in which we live has delighted audiences as far afield in Australasia and both the Far and Middle East as well as a fair share of Europe. He has toured nationally with John Oliver and supported Ricky Gervais on his hugely successful ‘Animals’ tour. A founding member of the widely acclaimed “Robin Ince’s Book Club” he appeared alongside Ince, Ricky Gervais, Stephen Merchant, Russell Brand, Stewart Lee, Bridget Christie and Simon Amstell. He regularly performs at comedy festivals all over the world with Edinburgh shows including BBC Comedy presents…, Tony Law – Revenge Of The Dog Of Time, The Book Club and he debuted his first solo show ‘One Careless Lady Owner’ back in 2008. TV appearances include Meet Ricky Gervais (Channel 4), The Folds (BBC ), Smack the Pony (Channel 4), The 11’O Clock Show (Channel 4), Russell Howard’s Good News ( BBC3), Mock The Week (BBC ), The Weakest Link (BBC2) and the BAFTA Award winning The Sketch Show (ITV).